Do you have any special needs students in your class? 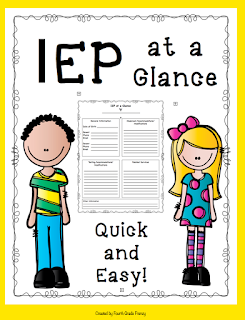 IEPs can be quite lengthy! I designed a cheat sheet for the parts I use the most to keep in my binder. Grab it for FREE! 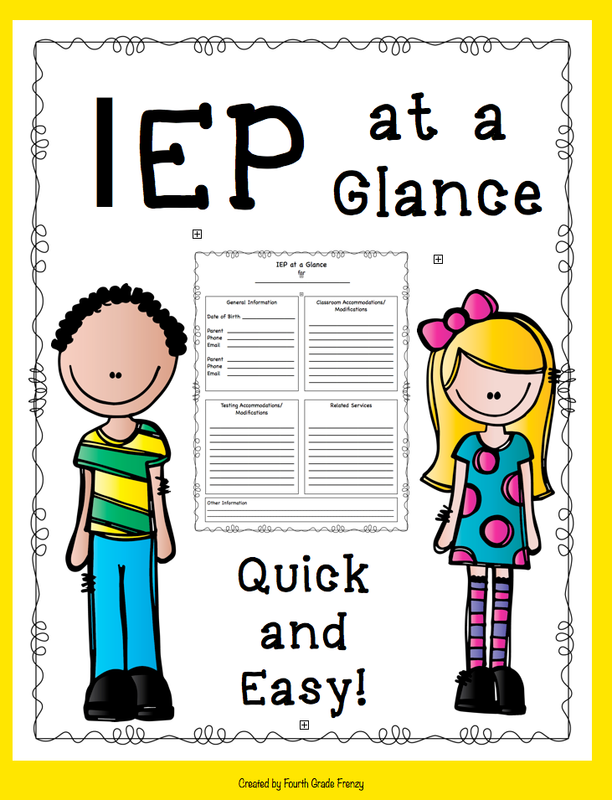 http://www.teacherspayteachers.com/Product/IEP-at-a-Glance-773797 Get it here for FREE! I would like to start with a huge thank you to the talented Danielle from Crayonbox Learning for designing this amazing blog!